This post has nothing to do with the Feast of Seven Fishes, but I had to get a bit nostalgic, it being Christmas and all. I posted for KitchenAid (yipee!) on their blog The Kitchenthusiast. 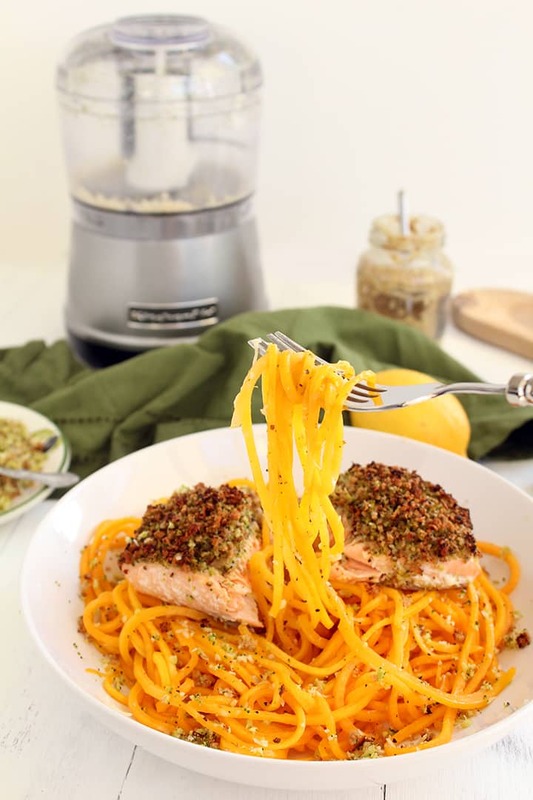 I posted up a Broccoli Breadcrumb Baked Salmon with Butternut Squash Noodles. You can find that recipe here. 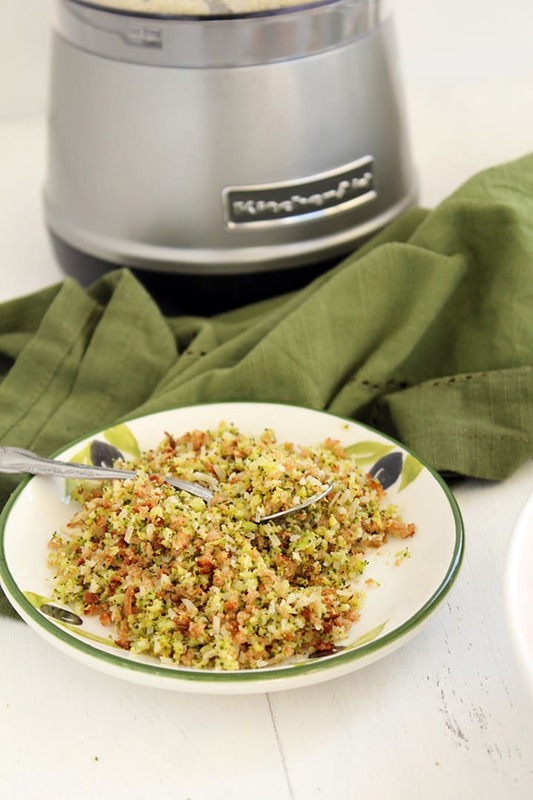 Broccoli Breadcrumbs. You must make these in 2014. Or now. They are so delicious, it’s sinful. You can leave out the bread and just use the broccoli and parmesan cheese and they are still phenomenal. The roasted broccoli is deeply flavorful. 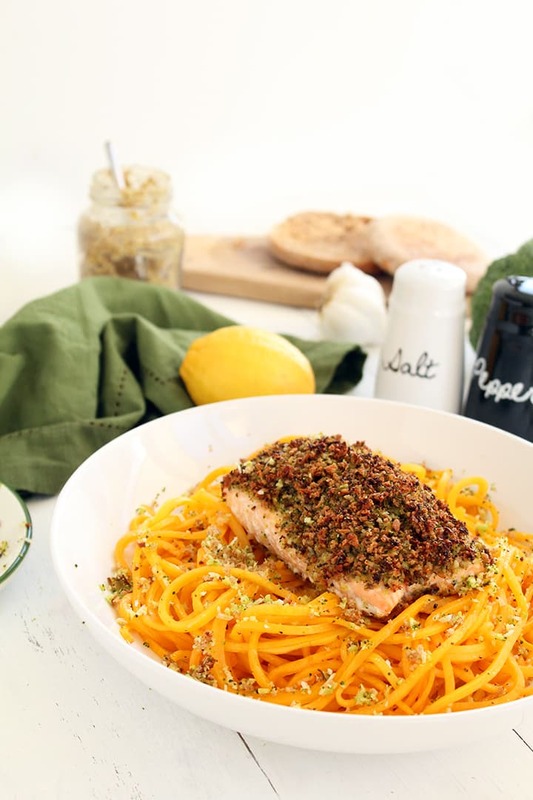 It’s also an easy way to add some interest to salmon. Have a very very very Merry Christmas tomorrow and a wonderful Christmas Eve evening. I hope Santa places a spiralizer or my cookbook under your tree or in your stocking this year. 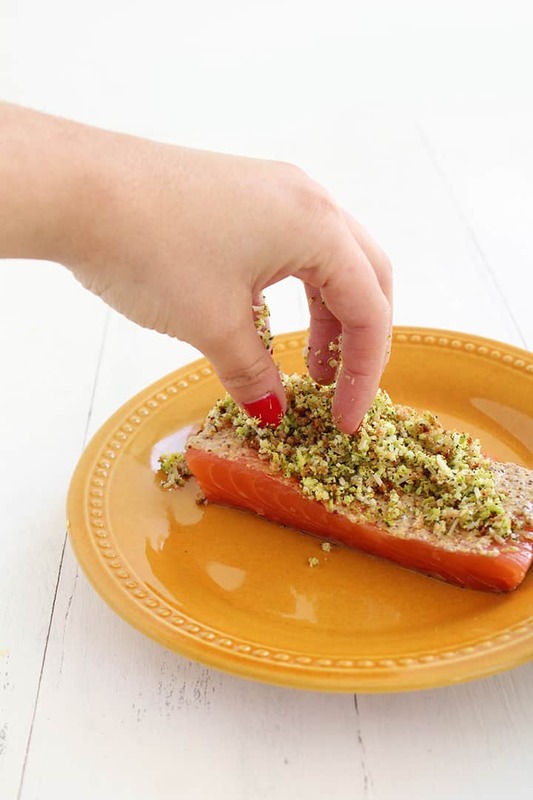 I've put broccoli breadcrumbs on mac and cheese but this whole salmon business has opened up a whole new breadcrumb world to me! Off to check out the post! My butternut squash does not spiralize at all, comes out in clonks, breaks or doesn't come out in strips rather in a large slice that is indented with lines but not cut through. The key is to cut off the bulbous end and only use the straight end of the squash.